Gag gift for your friends or stress relief toy for yourselves! Dimensions: 7 1/2 inch in length,1 1/5 inch in diameter. Strong material, you can squeeze the sausage any way you like. 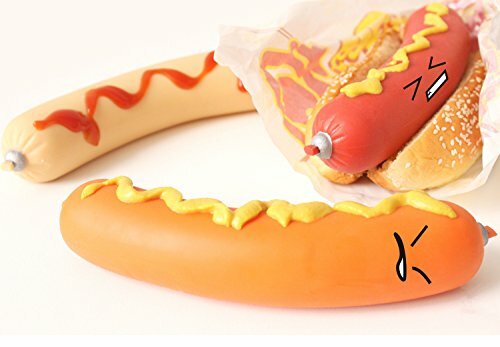 This is a fake sausage stress relief squeeze toy. An awesome gag gift for your friends. 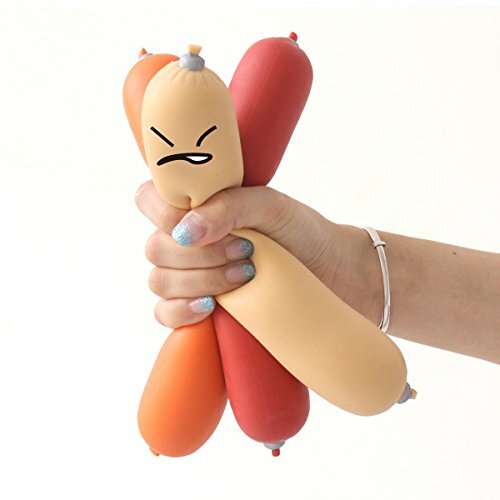 This awesome gag gift can be your personal sausage stress relief squeeze toy to release that build up stressful times at the office. Feel relieve by grabbing your sausage stress relief squeeze toy.